Livestreams are straight 1:1-broadcasts. That means, your audience needs a lot of time. Be honest with yourself: Have you ever watched a livestream of a conference which lasted eight hours? Compared to livestreams, liveblogs are curated and perfectly fit the short attention spans of your audience — especially in the B2B area and for decision makers. Liveblogs are a user-friendly format, which are ideally to consume, either when being en route or in the office. In addition to that production costs are much lower and the effects for marketing more sustainable. While video-livestreams offer a straight, complete 1:1-broadcast and documentation, liveblogs are a curated, multimedia summary of the most important highlights of the event from several perspectives. 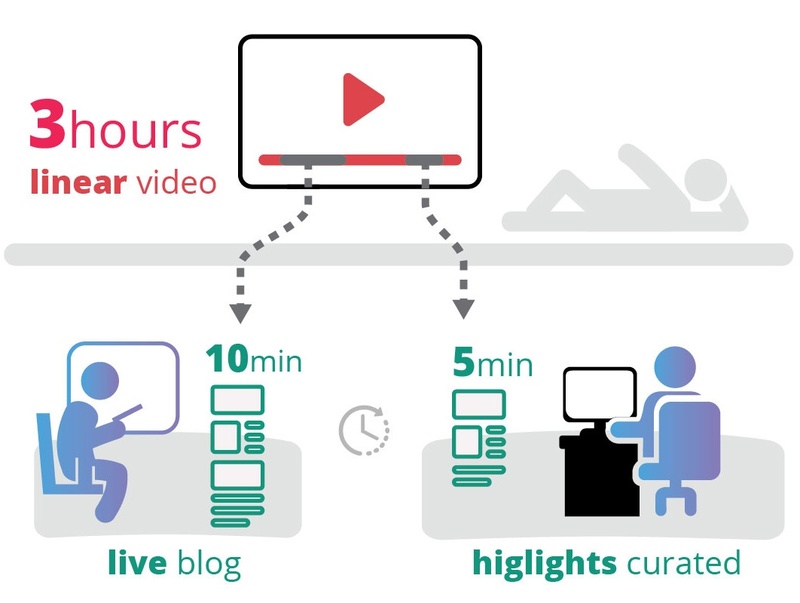 Livestreams demand a longer engagement, uninterrupted and over a longer period. Compared to that, liveblogs allow your audience to read "asynchronous" and switch between photos, videos as well as text and quotes. On the basis of our liveblog statistics we learned that many users leave the liveblog open in a browser tab and repeatedly interact with its content, during and after the event. This leads to an average reading times of 5 to 10 minutes across all storytile liveblogs – enough time for inform your reader about your event and place your key messages. 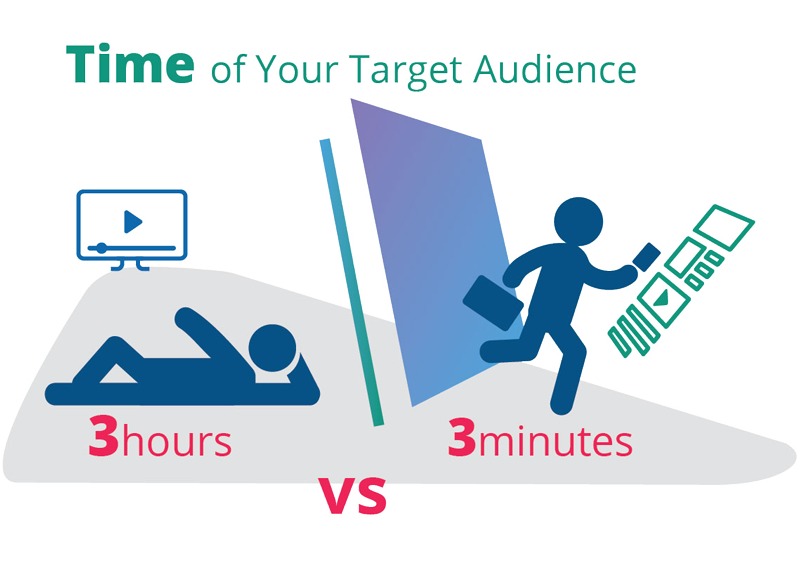 Event organizers should ask themselves the question which target audience they want to address and how much time each online user can reserve for the live-content. Most of the time shorter and easy consumable content is the better choice. If you rely on longer attention spans, e.g. during sports events, an investment in a continuous live-broadcast still might be worth the effort. Ask yourself if your event offers enough emotional stories to keep your online-viewers entertained. This might be true for most sport events but not for a business conference. In comparison to those events, liveblogs primarily address users who engage with real-time content over a short period of time, be it en route or in the office. Because of that a liveblog curates and summarizes the most important content as "service for the reader". Thus liveblogs are an all-embracing multimedia coverage including live-photos, videos, concise quotations, text-updates and social media-posts. Huge and important events with bigger budgets should choose a combination of livestreams and liveblogs. Thus the visitor can first scroll over the liveblog and then decide, whether it might be following the event in a livestream session. But especially for the target audience of decision makers liveblogs offer the most important content of an event in real-time.